For a new edition of Frogfishes of the World, to be published by Johns Hopkins University Press, I am asking for funds to offset the cost. My contract with the Press requires that I provide $25,000 to help pay for copy-editing, design, and printing. I have so far raised $19,000 in grants from various foundations but I’m having trouble finding the remaining $6,000. In the 30 years following the publication of Frogfishes of the World, much new information about these fishes has been reported. Nine new species have been described since 1987, and two more have been resurrected from synonymy, resulting in a 21% increase. The only fossils known at that time were several otolith-based taxa, each represented by only a single example, but many new fossils have since been discovered, including nearly complete articulated skeletons from the Miocene of Algeria and Early Eocene of Monte Bolca, Italy. Geographic distributions have been expanded to reflect greater exploration of habitats around the world. 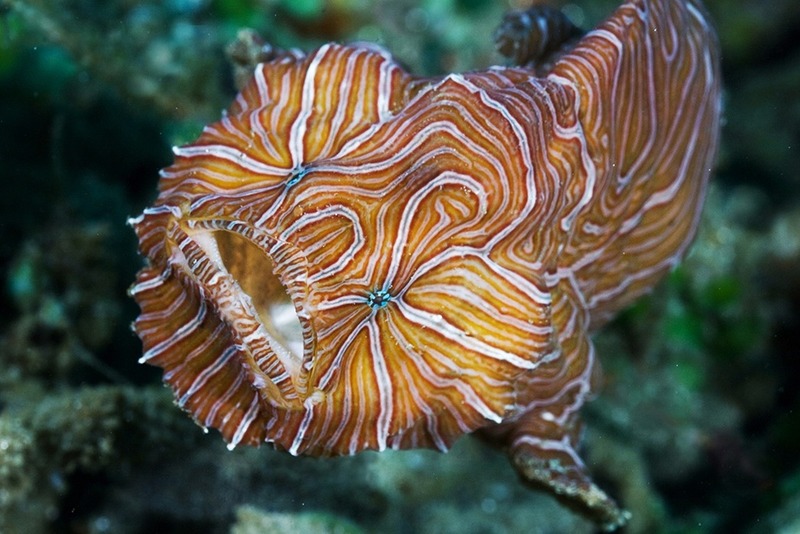 A whole new molecular approach to resolving evolutionary relationships among frogfishes and all the latest information on feeding, defensive behavior, locomotion, and reproduction have been included. At the same time, the frogfish literature has been fully augmented, encompassing all the latest as well as all pre-Linnaean titles. In the early 1980s, when preparing the manuscript for the first edition, high-quality color photographs of frogfishes were hard to find. Now, with the latest digital cameras, thousands of high-quality images of frogfishes in their natural habitats have become available. Work toward completion of this new edition is based in part on a detailed study of underwater photographs generously supplied by more than 150 divers and aquarists from around the world, of whom 97 will be represented by color images in this volume. Perhaps no family of fishes will be better exemplified in publication form than that containing the frogfishes. While critically reviewing the systematic and popular literature, the taxonomic accounts have been based on examination of nearly 5,000 preserved specimens made available by the curators and staff of 73 of the world’s natural history museums. The primary results of this effort will appear in standard form but in greater detail than usual: keys and tables to aid in identification, detailed annotated synonymies, lists of material examined, diagnoses, descriptions, distribution, and phylogenetic relationships. But, somewhat unique for this kind of work, the introduction traces the full history of our knowledge of frogfishes from the earliest published record to the present. The entire manuscript, 986 pages, 346 figures, and 24 tables, has been submitted to the Press and, with a guarantee that the entire required subsidy will eventually be provided, the process of copy editing is already well underway. If I can supply the remaining $6,000 in the next few months, printing can go forward and we’ll have books in hand by early 2020. I'd greatly appreciate any amount you might be able to provide. With grateful thanks.